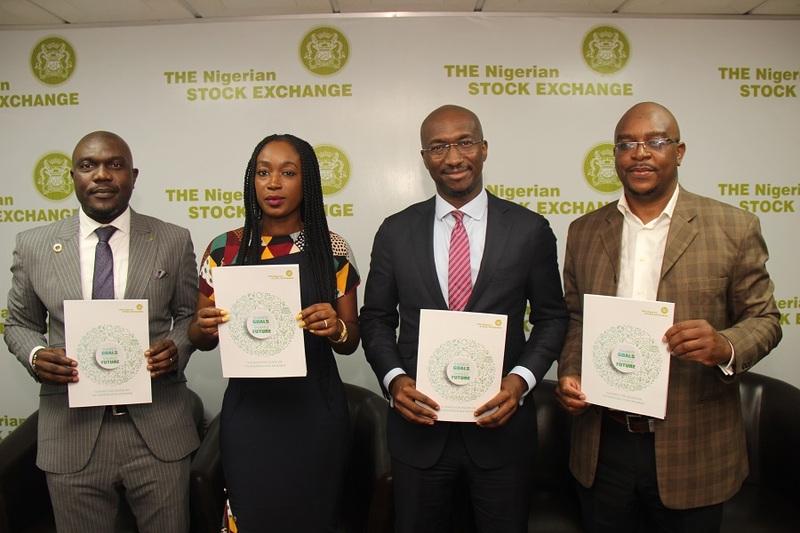 The Nigerian Stock Exchange (“the Exchange” or “NSE”) in partnership with the Global Reporting Initiative (GRI), held a half-day workshop on sustainability reporting where the NSE Sustainability Disclosure Guidelines was unveiled, on Tuesday, March 19, 2019, at the Exchange House in Lagos. Today’s workshop brought together C-level executives, Corporate Social Responsibility and Sustainability experts, non-governmental organizations and other stakeholders for an interactive session to share insights on the imperative of good sustainable practices and reporting. The conversation at the workshop addressed the implementation of sustainability reporting, key metrics in the new GRI reporting standards, reporting process and enhancement of corporate transparency and ultimately performance on environmental, social and governance (ESG) issues. In his opening remarks, Bola Adeeko, Head, Shared Services Division, NSE, stated that the workshop was inspired by the need to influence the NSE ecosystem towards sustainable business practices and create structures to implement reporting in line with their business peculiarities. He further to state that “I am quite happy to report that we have also hold ourselves accountable to the highest standards regarding sustainability reporting and we will continue to challenge ourselves to do more”. Delivering her keynote address, Bekeme Masade-Olowola, GRI Board Member and Executive Director, CSR in Action said, “I congratulate The Nigerian Stock Exchange and the Global Reporting Initiative for the effort put towards developing the Sustainability Disclosures Guidelines (SDGs) and organizing this important workshop. So far, only eleven stock exchanges, including the NSE, have partnered GRI to improve corporate transparency and performance on ESG and support sustainable investment. Sustainability reporting addresses the growing demand by significant market segments for trustworthy information on corporate social responsibility and environmental, social and governance (ESG) efforts”. The workshop also included a panel discussion session featuring Temitope Oguntokun, Country Lead, Sustainability and Stakeholder Management, International Breweries Plc; Ken Egbas, Founder/CEO at TruContact CSR Nigeria; Omobolanle Victor-Laniyan, Head, Sustainability, Access Bank Plc on sustainability and Emilia Asim-Ita, Practice Director, AML, who also espouse on the imperative of sustainable practices and integrating sustainability information into organization’s reporting cycle.